BOISE – Primary Health Medical Group, a Boise-based system of primary care providers and urgent care clinics, is the newest provider to embrace Regence BlueShield of Idaho’s Total Cost of Care (TCC) solution. The agreement between the two partners is a collaboration to improve patient care while containing costs. Regence’s TCC is an accountable care model that empowers physicians with medical cost and quality information to help them increase quality outcomes with their patients. Regence offers aggregated quality and cost data from the provider group’s patients and then works with the provider groups to show them ways to offer the same quality of care at lower prices. An example of this is referring a patient to an imaging center for an MRI instead of a hospital, in cases where such centers may charge less for the same MRI the hospital offers. The quality of the care does not change, but the costs to everyone involved are significantly lowered. 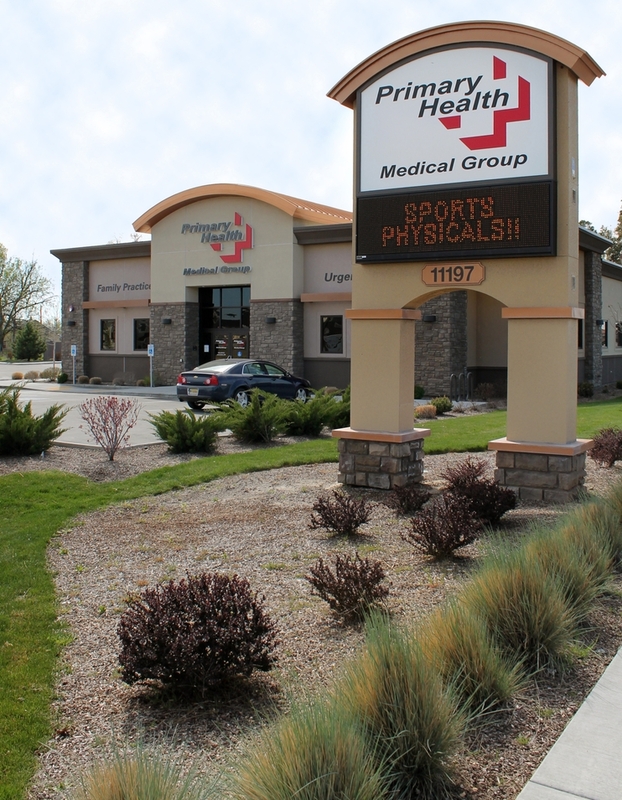 Primary Health has 14 locations throughout the Treasure Valley, 12 of which are what they call combination clinics: a primary care practice combined with an urgent care facility. Dr. Peterman says the clinics are designed this way to allow them to offer multiple services — handling acute and chronic conditions while sharing resources. The group focuses on quality care and customer service, while also maintaining efficiency. To support their approach to overall care, they invested in an electronic health records system in 2007, earlier than most other providers, and amassed a great deal of clinical data on chronic conditions such as diabetes, asthma and hypertension. The claims data from Regence is the missing piece they’ve needed to see their total impact on their patient population. Regence’s TCC includes a shared savings arrangement tied to physicians achieving specific quality metrics and a reduced cost trend. The agreement between Regence and Primary Health is for three years, which is designed to allow Primary Health time to integrate what they learn through the claims data into the treatment approaches for their patient population. “At a time of so much change within the health care industry, it’s encouraging to see such a willingness to embrace a new approach to care quality and cost management by Primary Health. Their independence and the passion for innovation that they bring to the table make them ideal partners for us as, together, we drive toward a more sustainable care delivery and payment model,” said Scott Kreiling, president of Regence BlueShield of Idaho. This new TCC agreement is the latest example of the successful roll-out of the comprehensive Accountable Health strategy within the Regence family of companies in Idaho, Utah Oregon and Washington. Since 2007, Regence has worked with providers, employers and individual members throughout its four-state region to implement innovative collaborative care models. Boise-based Primary Health Medical Group is a predominately primary care medical group with 14 clinics and 62 providers seeing more than 300,000 patient visits a year. Most clinics offer walk-in urgent care and appointment-based family medicine, so unlike the traditional model, providers can work together to address episodic and chronic care needs. The group also has physicians in pediatrics, obstetrics and gynecology, sports medicine, dermatology, occupational medicine, and ear, nose, and throat. Learn more at www.primaryhealth.com. Regence BlueShield of Idaho, based in Lewiston, has been serving Idahoans for nearly 70 years and now provides more than 141,000 members with comprehensive health insurance solutions. As a nonprofit mutual insurance company and independent licensee of the Blue Cross and Blue Shield Association, Regence is part of a family of companies dedicated to transforming health care by delivering innovative products and services that change the way consumers in Idaho and nationwide experience health care. For more information, please visit regence.com,facebook.com/regenceblueshieldofidaho or twitter.com/regenceidaho.